Selecting the best restaurants in Atlanta is never easy, especially in a year like this. It felt like we were being colonized by fast-casual restaurants (which were great!) and here today/gone tomorrow eateries that sometimes didn’t even get a chance to let what was on their beautifully adorned plates get lukewarm. 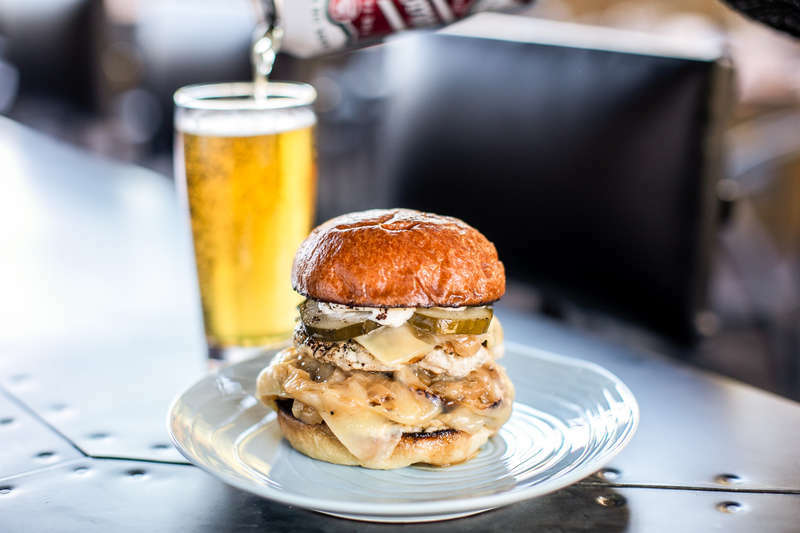 That said, it turned out to be an extraordinarily good year for places that took their time and focused on the foods we love. And even the ones not mentioned here deserve to be praised if they survived. 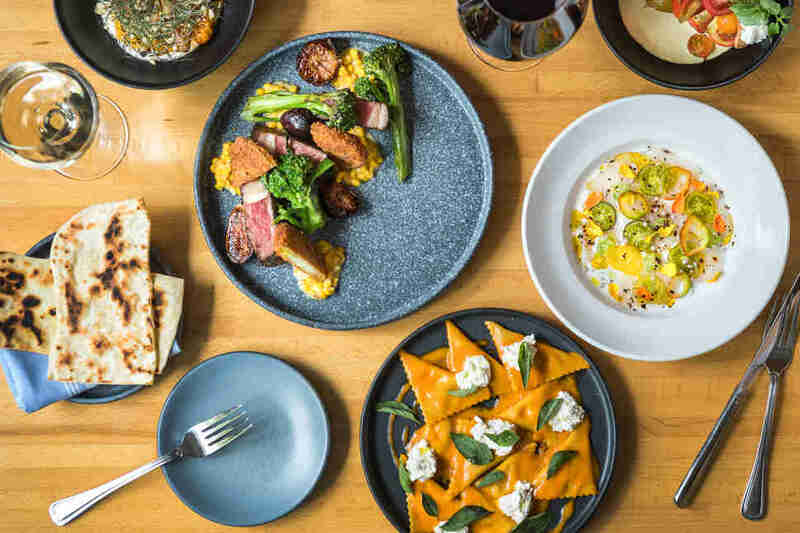 So without further adieu, here are the top spots for dining that opened in 2018. You have to salute the team that redid Atlanta’s historically seedy hotel, which had been known for bad behavior, not limited to the fact that the building houses one of the world’s most famous strip clubs. And though the rooms, rooftop bar, and overall renovation are great, it’s Tiny Lou’s, their lower-floor restaurant named in honor of a well-known dancer who is said to have refused to perform for Hitler, that really pulls it all together. A French-American brasserie at heart, it’s a dimmed and debonair romantic retreat where the cocktails are supremely respectable (especially “The Stripper’s Real Name”), but your heart will tell you to go for the Cab Franc or Bordeaux. 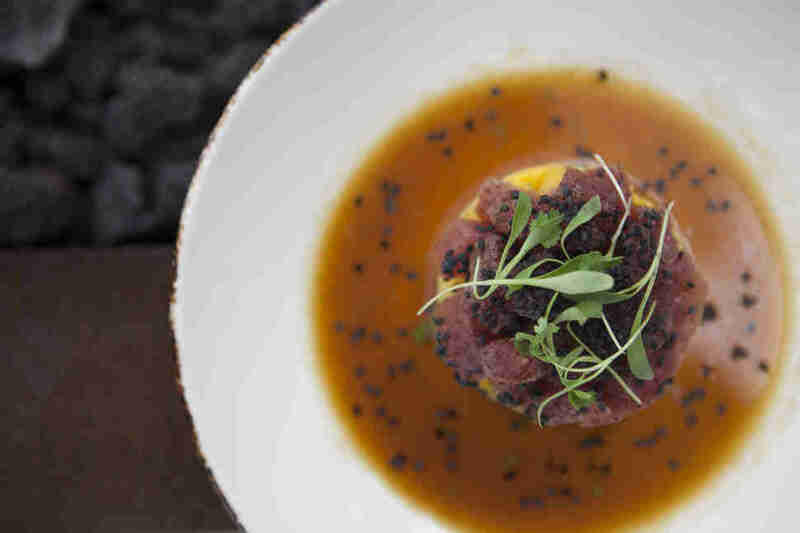 Whatever your potion, you’re sure to enjoy it with the duck appetizers (consommé or confit crêpe), or Maine diver scallops in dark chicken jus, which have a perfect surf-earth flavor balance. Let those starters guide your entrée choice between the “L'abattoir” side (the grilled venison is superb) and “La Mer,” where there’s a whole roasted sea bass that’s fantastic. With so much going right that could have easily went WAY left, TL’s is a lesson in how new Atlanta restaurants can pay homage to a place’s history, no matter how funky, while retaining an independent culinary identity of its own. If you automatically think “Sarku” when counter-service Japanese fare comes to mind, you’re probably also the only person still purposefully choosing to eat in mall food courts. Momonoki takes casual Japanese eating to a much stronger place in terms of mouth-happiness, even though at arms-length one might assume it’s just another place for ramen. 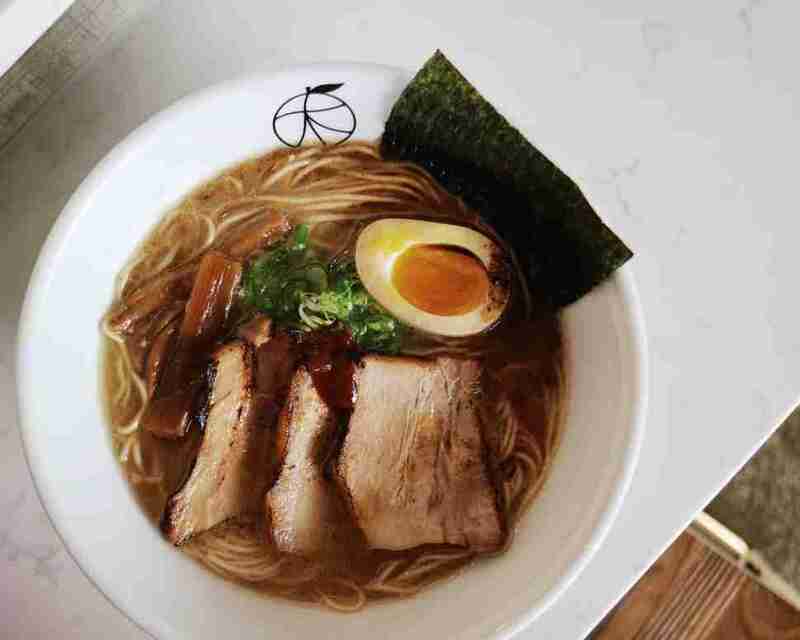 Here, the ramen comes in variations beyond which protein your packing into it. The Tsukemen, or dippable ramen, is served separate from the broth, in which you’ll find pork belly, an egg and scallions; the classic version can include chicken, pork or fish broth, or a combo of the latter two, and there’s a broth-less style for people who prefer theirs more like stir-fry. They’ve also got raw and cooked protein bowls (filet mignon, curried beef, salmon tataki, etc. ), and square-cut katso sandwiches, including the $58 A5 Wagyu sando. And don’t miss the adjacent Momo Café, where you can grab coffee and dessert, or to be more specific and less food-court, black sesame coffee and their signature semi-sweet matcha brownie. It’s a long way from chicken teriyaki. When it starts with good bread, you know things are going to be alright. That’s the case with The White Bull, which was a term Ernest Hemingway used to describe paper and his own fear of it (writers, amiright?! ), and is now the name of a rectangular Decatur Square restaurant with brick on one side, boards of wood stained in various shades of brown, and white metal chairs running down the middle, upon which you should sit. TWB’s ingredients are mostly sourced from their network of 30+ local farms, and you can taste that in the yummy, salty, house-baked bread, or main courses like the pork schnitzel, swordfish over black rice with carrot puree, or the simple lemon chicken with garlic confit, polenta and baby carrots. There’s also a chef’s table in the back corner (beneath the black and white bull painting), where kitchen lead Pat Pascarella curates a $75-per-person, five-course prix fixe menu each day for up to 12 guests. It all speaks to the pressure that the team, which consists of several Optimist alumni, puts on itself to deliver a superior product for whom the dinner bell tolls inside a shotgun space. 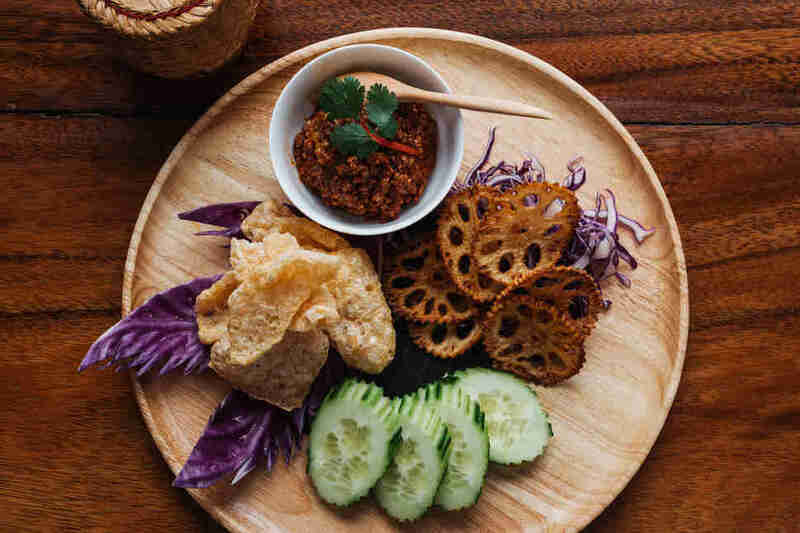 As more Atlantans have learned that they love Thai food, chef DeeDee Niyomkul and her family -- who’ve given ATL Thai food in fine dining, bistro, and street food formats (via Nan, Tamarind Seed and Tuk Tuk, respectively) -- have been paying attention. Each restaurant is highly regarded for standing so far apart from other Thai eateries in town that you almost forget it’s from the same country. This was clearly on chef DeeDee’s mind when she decided to focus more on rural/provincial Thailand at Chai Yo, in order to get closer to the soul of the cuisine. It works, and you know it when you bite into starters like tod mun kai (shrimp, corn, red curry, cucumber, crushed peanuts and onion on a fried chicken patty); or the tempura snapper, sliced into filets and laid over jasmine rice, spinach, bell peppers and basil; or the 12-hour-sous-vide braised beef in Panang curry. The plating is particularly pretty, especially when dishes arrive on sliced rounds of wood. And since you’re getting to the heartland of Thai dining, you might as well have a cocktail like the Stratosphere Sbagliato, whose mix of Kaffir lime, prosecco, and violet liqueur gives it the color of a deliciously drinkable purple flower. An Atlanta couple, whose careers are business operations and project management, go to Laos in 2016. They come back and open a restaurant. This kind of story sometimes ends, ironically enough in entrepreneurial tragedy. But in this case, everybody (with the possible exception of spelling bee judges) is happy to have Snackboxe Bistro around, maybe because it arrived just as Laotian food started becoming a hot topic, or maybe because the spicy, rib-sticking dishes are so different from what you find from other Asian cuisines. The noodle soups -- particularly the chicken and tapioca noodle bowl -- offer familiarity of the continent, though the shrimp ceviche neither looks nor tastes like what you’d find at, say, your local Mexican joint, which is thanks to heated chili lime fish sauce that packs a fierce amount of funk. And even if you’re not that into salads (in which case you should get the chargrilled lemongrass pork ribs), you might see someone bring out one of the laap dishes, which include beansprouts, cucumber, chili pepper flakes, and toasted rice powder underneath your choice of salmon, chicken, pork belly or tofu. Even the beef jerky is wild; the stuff is flash-fried, sprinkled with sesame seeds, and served in a cup over sticky rice. Seafood in Atlanta is one of those things people never get tired of seeking, and always in new places, even though we’ve got some great spots. Hopefully the very recent arrival of Bully Boy, the newest restaurant from the Concentrics group with the old-warehouse-meets-modern-intown-diner design, will at least give folks a few months to settle in and savor Eastern seaboard stuffings, which are intended for friends and family sharing. Grab Virginia oyster sliders, barbecued white Georgia shrimp, fried blue crab rice, yellowfin tuna wraps, or Florida red snapper tartare if you’re looking for a nautical adventure served by the small plate. For land-dwelling “feasts” which serve up to six, get yourself a Heritage Farms pork shoulder (which comes with a half-dozen oysters), a whole North Carolina poulet rouge (considered the world’s most flavorful chicken by chefs and diners who know such things), or a 42-ounce cast iron porterhouse. And remind your friends and family that they’d better love you for your recommendation skills, if not your willingness to pay the entire bill. 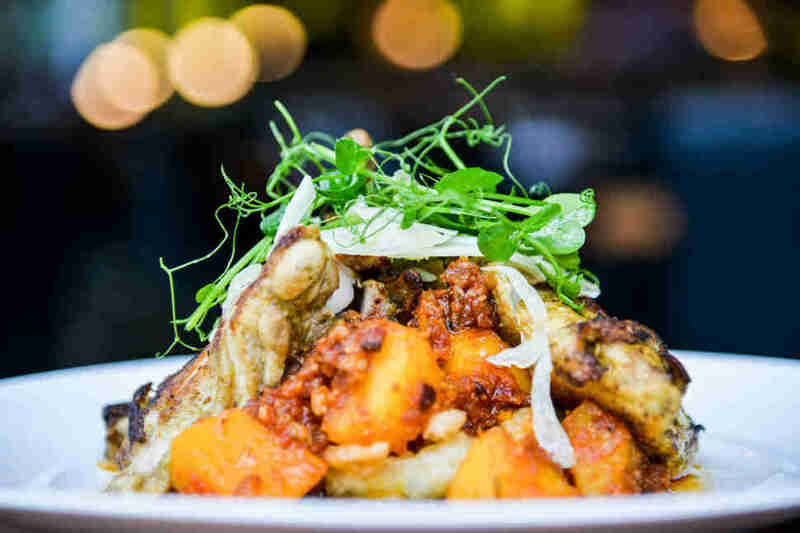 Famous ATLien Donald Glover has a line in “This is America” that goes: “I got the plug in Oaxaca.” You, although an Atlantan, too, (or maybe just one of our Thrillist-reading stalkers), do not have such a connect, but you can at least eat that way at Casi Cielo. Located in that rich zip code where Young Thug and other wealthy locals live, CC is from the southeastern restaurant group that gave us La Parrilla, which nobody hates on but is also not expected to win a James Beard Award, ever. Still, they’ve proven that by honing in on Oaxacan cuisine, and what they claim is the world’s largest bar collection of mezcal outside of, well, Oaxaca, they’re out to prove that you want that smoke, and they’ve got it for you. The interior space offers a luminous gold-toned glow to bring out those warm south-of-the-border feelings, while the food itself provides an inner fiesta through menu items like the cilantro-chimichurri ribeye and suckling pig tacos. Obviously, if you’re driving to Sandy Springs for tacos (and let’s be real -- you don’t live in Sandy Springs the way Young Thug lives in Sandy Springs), you expect them to be worth it, and you might even find yourself paraphrasing his hook on that T.I. song when you hear your own voice say that it ain’t about the money. 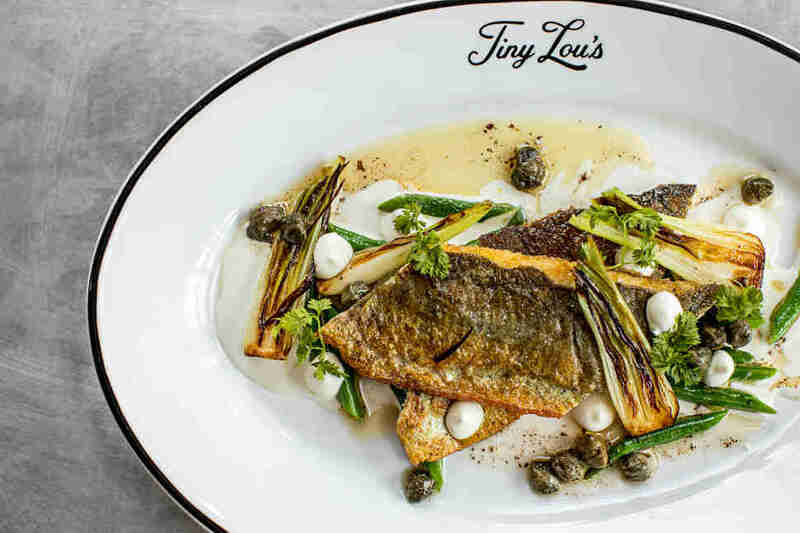 Chef Ian Winslade, who made his bones at NYC’s Le Bernardin (one of the world’s best restaurants), and made magic in the kitchen at Murphy’s in VaHi for six years, decided it was time for an expansive mid-century modern spot in Buckhead, where he could do contemporary American dining. So, along with a trio of established dining dudes representing Storico Fresco, Three Sheets, and the highly lauded Italian San Fran restaurant Quince, he did it. 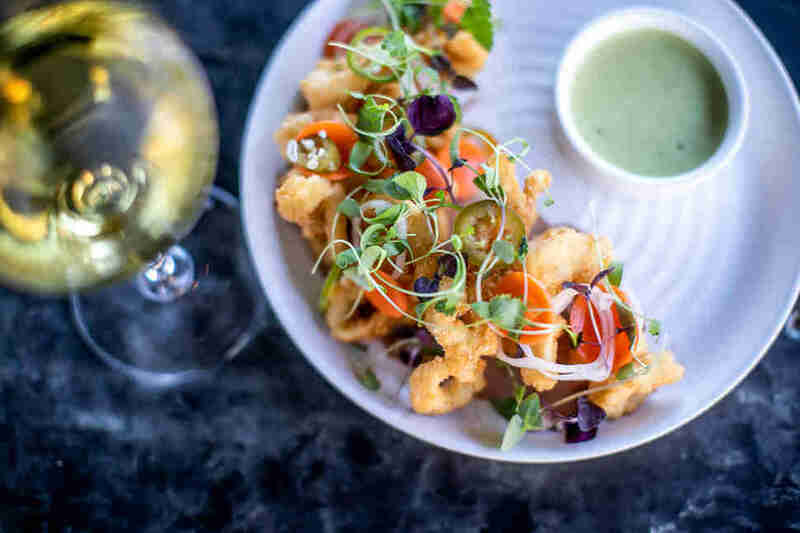 The result is M+M, a worldly dining establishment whose menu makes no apologies for being created to impress, but doesn’t kill you with price, even though you’re in 5,000 square-feet of bar, dining room, patio, and private space that sits almost 300 folks… in Buckhead. Stop being cheap and enjoy that $42 Japanese A5 Kobe beef tartare appetizer. Then realize you’re blowing the budget and have an $18 soppressata picante pizza with Calabrian chilies (or a $12 margherita if you’re really over the line). And now that you’re showing that date of yours that you’re both rich and poor, but still classy, order a center-cut filet and sesame gnocchi for $39, a duck steak marinated in ginger for $26, or a whole wheat pasta lamb ragu. Hell, get a brown sugar sweetened fig old fashioned or “The Word” (gin, St. Germain, Yellow Chartreuse, Thai basil and lemon); either is just $12, which you’re paying anywhere you go these days. Finally, go brag that you ate at one of ATL’s newest restaurants with a seriously reputable chef. There’s a whole lot going on at Bazati, in the French sort of way. That’s due to the on-site market of mini-shops on one side, selling everything from books, magazines, flowers and leather bags, and The Brasserie, which faces the BeltLine. Chef Remi Granger -- who’s worked Bread & Butterfly and two Kevin Gillespie spots -- is himself from the Loire Valley of France, which comes through in flavor and balance as you spoon French onion soup or nibble slices from the cheese plate. But his talent really shines on mains like the duck confit (if they happen to have black truffles when you visit, get them added on). They’ve also got daily omelets, quiche, and standards like coq au vin and trout meunière, all of which their sommelier GM Darryl Jackson (a relative of our city’s first black mayor) can pair with excellent French wines, which also go well with the curated playlist, which could include classic instrumentals or Erykah Badu covering Miles Davis. It all combines to create a realistic Parisian experience at reasonable cost (the most expensive item is $29), authentic enough to feel like you’ve actually escaped to Paris without setting foot in Hartsfield-Jackson. Mike Jordan kinda became a food writer from eating, and still wants people to remember that he totally called Staplehouse before some of y’all national food magazines that pretend not to be paying attention but know y’all be biting. He’s on Twitter at @michaelbjordan, and on Instagram at @mikejordanatl.